■ Laparoscopic calyceal diverticulectomy presented herein strictly adheres to open surgical principles. ■ obliteration of the diverticular cavity. ■ Patients with large diverticula with thin overlying renal parenchyma are ideal candidates for laparoscopic calyceal diverticulectomy. 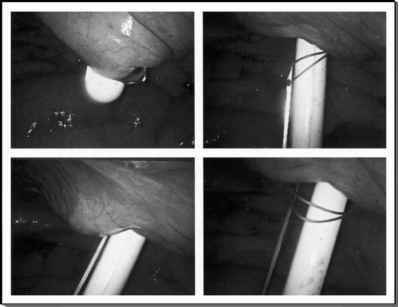 ■ High success rates and low morbidity can be achieved with laparoscopic calyceal diverticulectomy.